golf4you.com is the first golf-oriented travel portal that allows the 800,000 golfers from Germany, Austria, and Switzerland to book their entire golf trip online. golf4you is a new e-commerce start-up for golf vacations. It gives golfers the possibility to quickly and easily book every detail of their trip, right down to the tee-time. golf4you will be launching in the second quarter of 2017 and has set out to putt, chip, and drive its way into the golf travel market of German-speaking Europe together with its network of 100,000 members. We are pleased to provide you with our pitch deck, which summarizes golf4you`s business model and strategy and illustrates our company’s potential. As always, you can find all information on us, our team, and golf4you in our company profile. Please click on the picture above to open golf4you's pitch deck. In 2005, Michael Brendel founded golffriends.com, the largest, independent golfer community in German-speaking Europe. He's always been confused by how difficult and time-consuming it is for golfers to easily book golf vacations online. He remained disappointed about the complicated offer, which often varies in terms of its quality, found on the German-speaking market. So together with his business partners, he decided to create a travel portal for golf vacations that satisfies the needs of golf travelers. Following this, golf4you was created in 2014 together with Arnulf Pribas, a software expert for the travel industry, and Paul Smyth, who's been a passionate golfer since childhood. In their own survey to which up to 2,500 golfers responded, Michael received confirmation that many golfers are looking for an easy solution for booking golf vacations. In addition to accommodations and travel, reserving the tee-times also causes many difficulties for golfers. golf4you solves this problem for the 800,000 golfers in Germany, Austria, and Switzerland. On golf4you.com, customers are able to create and reserve a golf trips according to their preferences; booking and paying is easy and is done in just one step. We call this process "One-stop golf booking". In order to finance our growth, we've decided to initiate a round of equity-based crowdfunding. With the help of the Companists, we aim to achieve a significant market position as quickly as possible. And in addition to the 66,000 Companists, we also plan on offering this investment opportunity to the 100,000 golfers of the golffriends community. Here, we hope to win over both investors as well as customers. And we hope that each investor will help advertise for us within their own group of friends and family, as every golfer can benefit from golf4you. golf4you is a provider that specializes in online reservations for golf vacations. Our website offers customers the ability to book and pay for their entire trip in just one step - this includes the flight, hotel, golf course reservation, and tee-time. In order to book an individual golf trip, golfers begin booking their flights and hotels via conventional travel portals. Only in the rarest of cases are they able to simultaneously book their transportation from the airport. The most important part of the processes involves reserving tee-time times. "tee-time" refers to the time at which a round of golf begins. The agreed tee-time must be maintained, since the right play will lapse. Given that golf courses in vacation regions are typically highly frequented, many of these courses assign fixed tee-times in order to guarantee a smooth operation. If no tee-time has been reserved, then it isn't possible to golf on that day. This is why it's so important for vacationers to reserve tee-times for the different courses on which they'd like to play. Until now, there's has been no travel portal available online that allows golfers to book tee-times in addition to their hotel and flight reservations, all in one step. In order to reserve tee-times, golfers had to try and directly contact the respective golf courses themselves. Different languages, different technology systems, and different time zones have all made the entire reservation process more difficult and time consuming. Most golfers have had these experiences themselves. Over 70% of the 2,500 golfers we surveyed for our marketing survey responded that they would "definitely" use a website featuring an integrated function for reserving tee-times. The golf4you travel platform allows customers to search for all aspects of their golf trip at one location and combine aspects of these results according to their preferences; additionally, they're able to simultaneously book and pay for the trip - all as a part of a simple and integrated process. Through the function, dynamic packaging, various offers are evaluated in the background within a fraction of a second and the optimal price model for the desired trip is then displayed. Dynamic packaging happens in real time and involves the customer-oriented selection, bundling, and booking of travel components from various sources, which are then compiled together in order to create an overall fee and price. With golf4you, customers are able to do more than just save money and spare themselves of stress: They can also be sure that they are always offered up-to-date prices and will benefit from the most current package offers. Via golf4you, golfers continually receive updated offers for their planned trip based on their search criteria. golf4you also notifies customers if they stand to benefit from already-existing package offers. This may require the customer to extend their stay or slightly change the beginning of their trip. golf4you generates income by selling golf trips online. Here, additional travel components are offered that are specifically tailored to the needs of golfers. In the course of this process, golf4you purchases these individual travel components (hotel, flights, airport transfer, individual rounds of golf, etc.) and earns the conventional margin (approximately 10% to 12%) between the purchasing price and revenue from travel reservations. When the reservation is finalized, golf4you directly purchases the individual trip components from the hotels, airlines, rental car companies, and golf courses. golf4you's revenue stems from the difference between the booking revenue and the purchasing costs of the individual travel components. While golf4you calculates the flight and rental costs directly with German providers, we also work with local partners when it comes to processing and billing hotels, shuttle services, and rounds of golf. These local partners are known in the travel industry as "Destination Management Companies" (DMCs). By working together with DMCs, which are generally also the exclusive partners for golf4you, we're able to offer an excellent service to our customers on the ground (these efforts are also supported by a 24 hour customer hotline). We contractually ensured full transparency with the DMCs, which means that we can always be sure that we'll be offered the best purchase prices. Furthermore, bundling the golf4you purchases with a DMC pro travel destination can help us obtain volume advantages and better conditions. At the moment, there is no travel portal that offers users the ability to book their entire golf vacation, including flights, tee-times, and airport transfers. golf4you is the first real-time golf travel portal. Along with the pribas company, golf4you has developed a specialized software tool for booking tee-times, along with the individual segments of a trip. Users can book their hotels, flights, airport transfers, etc. all in one seamless reservation and for one price. golf4you owns the exclusive rights to this product. No other travel provider is permitted to tap into the 100,000+ member-strong community, golffriends.com. This exclusivity has been agreed upon for an unlimited period of time. For the most part, golf4you has exclusive access to the individual service partners throughout our travel destinations. This makes it more difficult for our competitors to enter our market. Nothing beats experience! The 3 founders from golf4you have over 75 years of combined business experience. They’ve built up companies, led large businesses, and successfully completed exits. All 3 founders plan on making a long-term commitment to golf4you. Strong and long-term partnerships build the basis for golf4you's success. The company, pribas, has been developing technology software for large companies from the travel industry for years. Some pribas customers include: TUI, TUIfly, DERTouristik, Condor, Amadeus, Lufthansa, Bucher Reisen, schauinsland reisen, and many more. Now, pribas has developed a software solution for golf4you. With dynamic packaging, realtime price formation, and reservations, the software solution has special functions for selecting golf courses and reserving tee times. And given that Anrulf Pribas, owner of his namesake company, is also a founder of golf4you, we have exclusive access to this golf vacation software. Thanks to Arnulf's large network, we have first-class access to important decision makers within the industry and can therefore initiate important partnerships for our sales operations and also and finalize direct contracts. A further important success factor for golf4you is its exclusive partnership with golffriends.com. With more than 100,000 members, golffriends.com is the largest independent German-language community of its kind on the internet. golf4you has finalized a long-term agreement as the exclusive travel operator for the golffriends community. We also ensured the exclusivity of this partnership by reserving a unilateral option to buy the data base. This gives us direct and immediate access to approximately 12.5% of the target market of 800,000 golfers in German-speaking Europe - all without scatter loss and minimum marketing expenses. Furthermore, golffriend's infrastructure and resources (office space and administrative staff) also provides us with favorable conditions. The golf travel market is highly diversified. One end of its spectrum is made up of large providers (TUI, DETOUR, ect. ), which claims up to 15% of the market. Golf vacation packages only make up a small portion of the entire revenue of these companies and are often not treated with the same passion as their core market segments. When it comes to the large providers and investing in their products and services, there's always other, more important target groups to take care of than golfers. The other end of the market is occupied by very small, highly specialized golf travel agencies. These, however, lack the necessary size, expertise, and access to important partners in order to negotiate the necessary pre-investments. Together, these small golf travel agencies preside over a market share of 15%. The remaining 70% of all golf vacations are individually organized and put together from individual components and sources. In our target market there are more than 800,000 active golfers. This makes German-speaking Europe the second largest golf market in Europe (only the UK, the motherland of golf, has more active golfers). Golfers are avid travelers. They look for dry and warm weather conditions and on average go on two golf trips per year. With each golfer willing to pay on average €1,500 per holiday week spent on the course, over 1.5 million trips are booked each year. The market volume for this demographic is more than €2 billion. In Q2/2017, golf4you will begin with the most important destinations for DACH golfers: Costa del Sol in Spain, Algarve in Portugal, Belek in Turkey, and Morocco. The best hotels and golf courses from these target destinations will be placed on the website. In 2018, we plan on adding additional destinations in Spain, Portugal, as well as our first long-haul destinations. Investment phase 1 starting at €100,000: Personnel and search engine marketing. 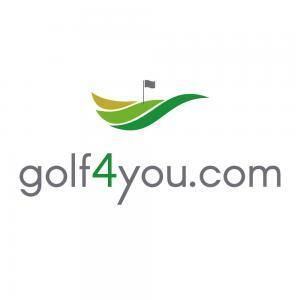 golf4you, plans on improving its website with internet search engine experts. The goal here is to optimize the website in such a way that allows us to improve our ranking on Google as well as other search engines. Additionally, golf4you plans on using these funds in order to initiate marketing collaborations and partnerships with golf media outlets, forums, and specialized retailers. Investment phase II starting at €300,000: expanding destinations and improving sales efforts and customer service. In addition to the investments from the first phase, golf4you also plans to invest in efforts to expand our destination list. Hence, in the next step we plan to offer as fast as possible all golf destinations throughout Spain and Portugal. We also plan on using additional funds for both online as well as offline marketing activities in order to expand our database. Finally, we plan on training and expanding our customer service team in order to guarantee constant support and quick reaction time. Regarding phases I and II: we plan on launching extensive online marketing campaigns once this investment goal is reached. The goal here is to quickly ensure a significant market position. What's more, golf4you, plans on making appearances at the biggest golf conventions during the first quarter of 2018 (Hamburg, Düsseldorf, Stuttgart, Munich, Zürich). Tell your golf friends about it. As soon as our website is launched in the second quarter of 2017, test our product and book your next golf vacation on golf4you. We look forward to hearing your suggestions or any other comments you might have. In case you're not a golfer? Actually, there's no such thing as a "non-golfer"; there’s only golfers who haven't yet discovered the sport for themselves. This, however, shouldn't be a reason to not invest in this attractive industry. You can always book flights, hotels accommodations, and rental cars via our platform – this increases the value of your investment each time you do so. The founder team of golf4you (from left to right): Arnulf Pribas (founder), Paul Smyth (founder and CEO), Michael Brendel (founder).